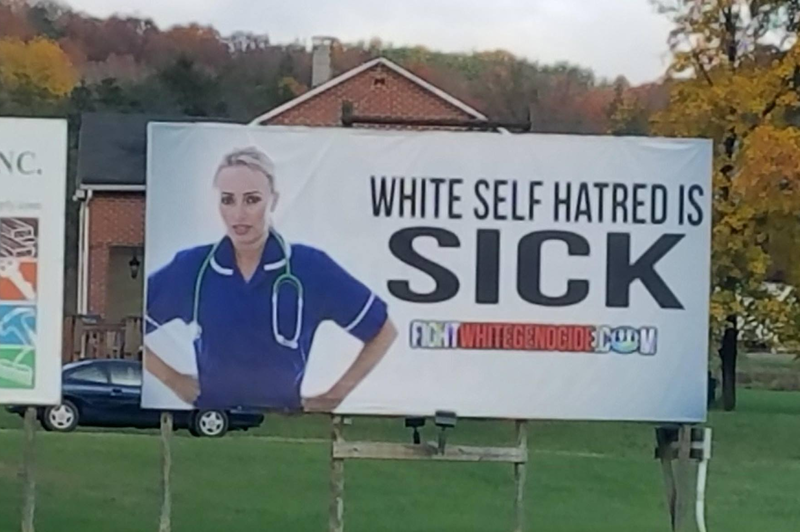 FWG recently put up a new billboard in West Virginia with Bob’s meme “White Self Hatred is SICK!” It didn’t take long for the local anti-whites to go ballistic over the billboard and within a week were able to intimidate and threaten the billboard owner into taking it down. November, 2017 the struggle against white genocide comes to West Virginia. Only people who hated themselves would cheer on their projected minority status and the policies of mass non-white immigration and forced assimilation that lead to it. Only people who hated themselves would believe that they are uniquely evil because their ancestors engaged in things like slavery and conquest that every race has participated in. We’ve all heard about white guilt. But it’s really white self-hatred. Everyone talks about how evil hate is. But the most common hate out there today is white people saying how much they hate white people. Whites have committed no unique crimes, but they have infinite unique achievements. White self-hatred is not virtuous. White self-hatred is just plain SICK! White people are being chased down with diversity all across America and Europe. Why are we not allowed to question this policy? 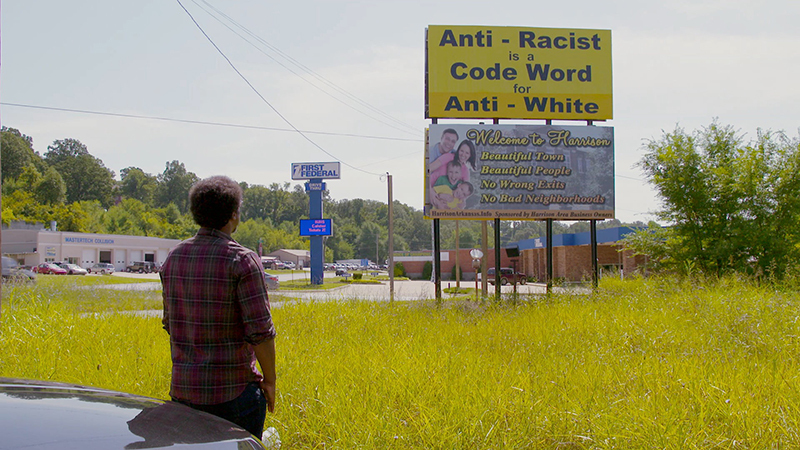 We hope our billboard sparks a much-needed debate and causes white people to honestly examine their self-perception. This is hate speech you say? 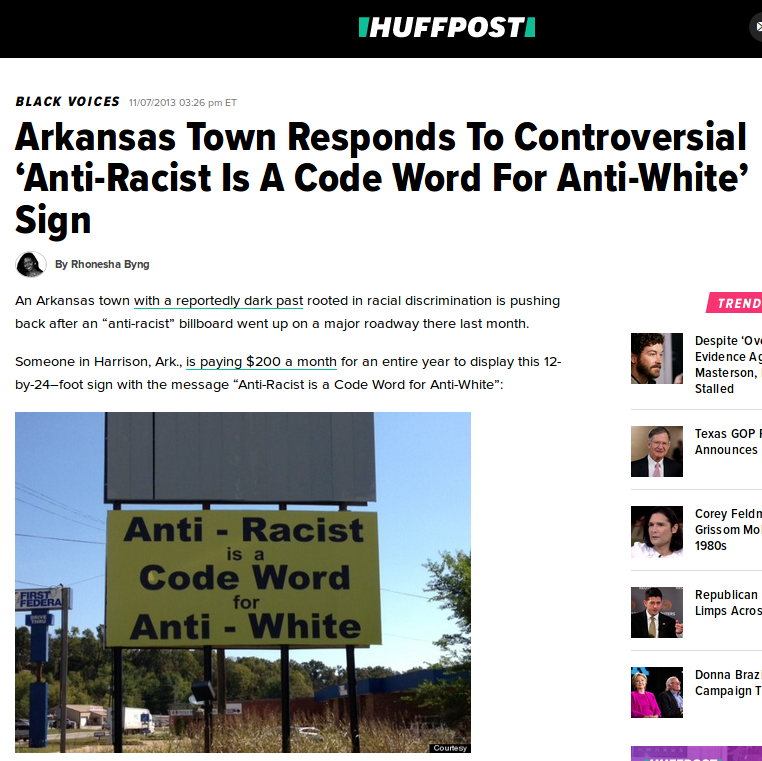 How can asking white people NOT to hate themselves be considered hate speech? How is that automatically hating others? If you asked blacks not to hate themselves would you consider that hate speech? No one questions pro-black advocacy. No one questions pro-mestizo advocacy. Why must all pro-white advocacy be considered wrong? After all, blacks and mestizos have their own homelands they can go to where they have self-determination. But ALL white countries are being deliberately turned non-white. Whites are being turned into powerless minorities everywhere. It is white people above all who need racial advocacy. Our billboard in Springville, Alabama was removed due to harassment and threats of lawsuits. No reason is ever given for suppressing our message other than that it is heresy to the established Religion of Political Correctness. What use is free speech if you are not allowed to say anything controversial? Fight White Genocide is a group of human rights activists calling attention to the crime of genocide being committed against the white race. The crime of genocide was codified under international law by General Assembly Resolution 260 (adopted Dec 9, 1948 in effect Jan 12, 1951), The Convention on the Prevention and Punishment of the Crime of Genocide. Fight White Genocide members are the proprietors of the fightwhitegenocide.com website. Our billboards have been featured on United Shades of America and major news sites. 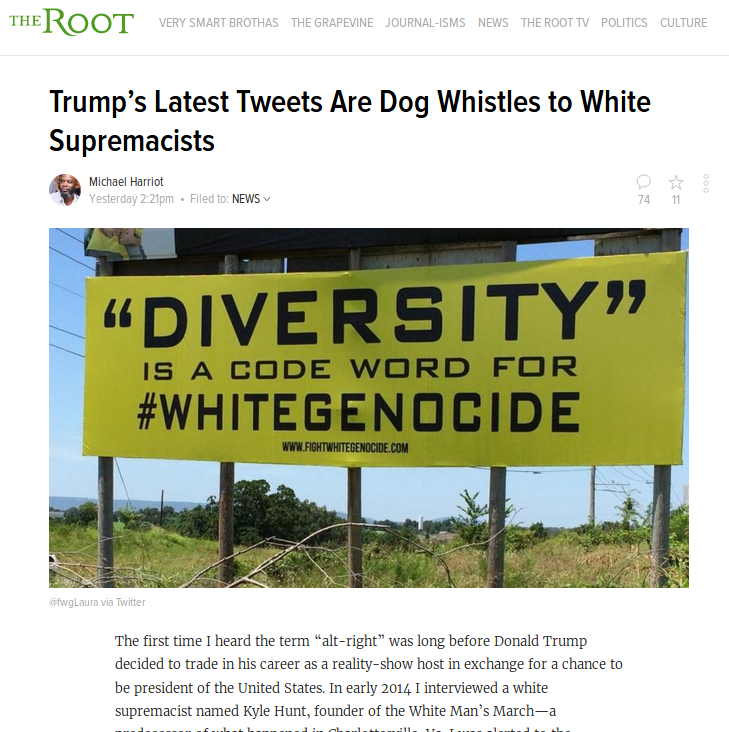 There’s no such thing as bad publicity IF you have an effective message that’s true and that discredits your enemies, in this case the reigning anti-white system. 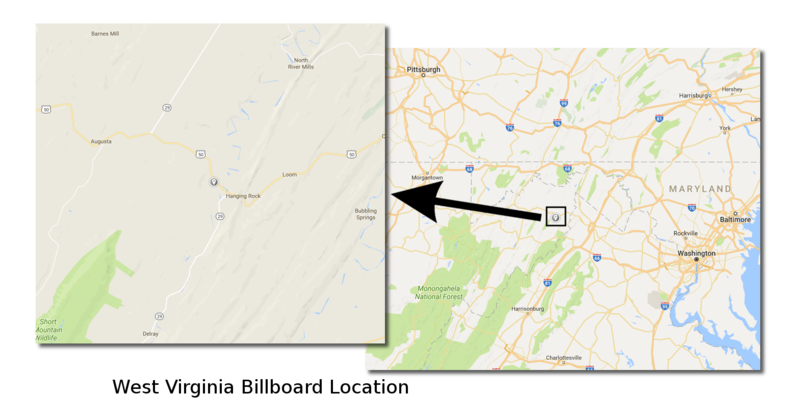 Billboards cost money. Your financial support is appreciated and necessary to keep billboards like this up. We’d love to put them up all across the country, wherever we can find a billboard company brave enough and dedicated enough to free speech to allow us to spread our much-needed message. Help us fight the epidemic of white self-hatred ravaging the globe and help us FIGHT WHITE GENOCIDE. She opened the show by decrying a “white genocide” that she claims many Americans have been simultaneously ignoring and perpetuating. It is said there is no such thing as bad publicity. This is correct if you have an effective message that’s true. Due to the efforts of a small group of pro-whites, the message of white genocide has permeated cyberspace to the point where it can no longer be ignored. Thanks for the free publicity, GoodTimes!